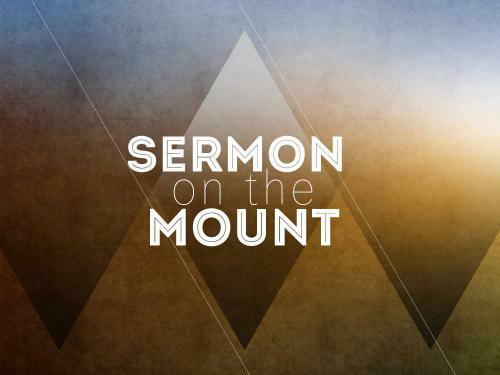 Today we are studying what is called the Sermon on the Mount. And we will begin with the beatitudes. Each of the beatitudes has two parts—a pronouncement of blessing and a reason for that blessing. But notice in Chapter 5 verses 3 and 10 that the first and last reasons are the same: “for theirs is the kingdom of heaven”. By opening and closing the list of beatitudes this way, Jesus is telling His disciples that all of these blessings, from the first to the last, are of the kingdom. meekness, mourning, and peacemaking, for example, are blessed ways of life only if God’s kingdom is indeed coming. So, too, Jesus’ promises have weight only in a kingdom where He reigns. But there’s something else that distinguishes the first and last beatitudes from the rest. While the others are all future tense. We see this in verses 4-6—“they shall be comforted. . . . for they shall possess the land. . . . for they shall have their fill.” —the first and last two beatitudes are in the present tense. In verses 3,10,11 They read, “for theirs is the kingdom of heaven.” “for your reward is very great in heaven” Here, Jesus is saying something that is hinted at throughout the Gospels: God’s kingdom is already here, and it also hasn’t yet arrived. We see this in (Matthew 12:28), “But if I by the Spirit of God cast out devils, then is the kingdom of God come upon you.” And then in (Luke 11:2.) we read, “And he said to them: When you pray, say: Father, hallowed be thy name. Thy kingdom come.” That’s why He can proclaim the blessing here and now while also speaking about the blessings of a future kingdom. It’s the reason why those who mourn, those who make peace, and those who face persecution are blessed: The kingdom of heaven has begun to invade earth. Yet there is still a time for mourning, a need for peacemaking, and the threat of persecution because the kingdom has not yet come in its fullness. Finally, to truly understand the impact of the Beatitudes, as well as the entire Sermon on the Mount, we must look to the beginning and the end of the scene. Doing so allows us to view two extreme ends simultaneously and gain a new perspective. The scene opens with Jesus sitting down on a mountainside to instruct His disciples (Matthew 5:1-2). 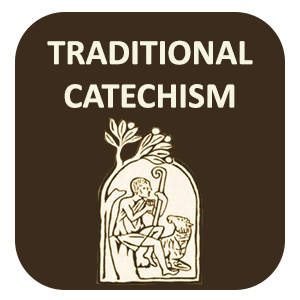 A parallel account makes it clear that the teaching is directed toward the 12 (Luke 6:20); however, it is “the people [who] were in admiration at his doctrine.” (Matthew 7:28). It seems that as the Lord taught His followers, those on the fringes were listening in and marveling at what they heard. As we have already seen, the kingdom of God described by Jesus is both already here and not yet come. Jesus taught His disciples, those “already here.” But it is those “not yet come”—the crowds—who are most impacted by His words. This is the nature of the kingdom. As we who love Jesus live in the light of the kingdom, we may look strange to those who are watching us. But those who live out the Beatitudes and the ethics of Jesus’ sermon—those who are merciful, those who hunger and thirst for justice, and those who are pure in heart—speak hope to a world in desperate need of it. It’s the challenge and the promise of these short, powerful statements of Jesus, words that have the power to change the course of history. Just as those who are materially poor have little to offer monetarily, people who are poor in spirit stand before God with open hands, wholly dependent upon Him. These are the ones with nothing to recommend them but their own spiritual rags, and yet God has given them His abundant kingdom. In truth, we are all spiritually naked, without even those rags to call our own. But for everyone who recognizes his great need, Jesus declares God’s overwhelming provision both here and in eternity. At one time or another, we all grieve the loss of loved ones and missed opportunities. The mourning that Jesus calls “blessed” includes these pains but is not limited to them. After all, the brokenness of this world extends deep into our souls. The people Jesus calls “blessed” deeply mourn both their personal sins and those of the world. It is what prompted Jeremiah to cry out over the apostasy of Israel, and the tax collector to say, “O God, be merciful to me a sinner.” (Luke 18:13). Such mourning is necessary for repentance and eternal life in the presence of the “God of all comfort” (2 Corinthians 1:3). A feeling of emptiness hovers over the first three beatitudes. As we look within, we empty ourselves of spiritual pride, mourn our neediness, and offer our battles up to God. But all that emptying leads us to hunger and thirst for justice. We all know what it feels like to be taken advantage of, but to hunger and thirst for justice goes beyond grumbling against the darkness. Jesus is talking about craving justice above all else—the kind of desire that doesn’t merely look to the sins of others but gazes inward, at the heart. Though our world is cracked and bent toward injustice, Jesus promises to satisfy those who hunger and thirst, because God, through His kingdom, is bringing perfect justice to our world. Because there’s no limit to God’s mercy—no sin too great to forgive, no debt too large to pardon—there should be no limit to ours. Yet such mercy, such forgiveness never begins with us. As Someone said, “Mercy comes from mercy. Our mercy to each other comes from God’s mercy to us.” Those who have experienced such great leniency stand ready and willing to pardon others and are blessed for it. A life marked by this kind of radical forgiveness reveals a heart that loves God and seeks to please Him. Jesus once compared the Pharisees to whitewashed tombs, which are beautiful on the outside but full of death inside (Matthew 23:27). The Pharisees focused their attention on signs of outward purity—hand washing, ritual baths, and strict rules for the Sabbath—but God wants us to have pure hearts that overflow into pure lives. And He promises us there will come a day when we who love Jesus stand before the Lord with pure hearts and see Him face to face (Revelation 22:4). Jesus has in view here those who concern themselves not only with the peace of this world, but also with the serenity that comes from knowing Him. He isn’t giving instructions on salvation but instead says peacemakers will be called what they already are—sons of the King. “And because you are sons, God hath sent the Spirit of his Son into your hearts, crying: Abba, Father.” (Galatians 4:6). That means His peace is ours. We must then lay down grievances and pettiness and extend this great gift to others. That’s what allows us to pray for those who persecute us and to “and to have peace with all men” whenever possible (Romans 12:18). Cultivating qualities described in the first three beatitudes of the poor, the meek and those who mourn, leads to the hunger and thirst described in the fourth. And in a similar way, application of beatitudes 5, 6, and 7 that is the merciful,the clean of heart, and peacemakers, leads to the persecution found in the eighth. As we look outside of ourselves to offer mercy, live in purity, and make peace, the world will often reject us, just as it rejected Christ. The promise for those who are persecuted is the same as that given to those who are poor in spirit: “Theirs is the kingdom of heaven.” Though these words are spoken early in Jesus’ ministry, He can look ahead to the day when He will be tortured, spat upon, and crowned with thorns, the day when the world He came to redeem will crucify Him. He will endure it all “for the joy set before Him” (Hebrews 12:2), and with this promise, He sets joy before His followers, as well.